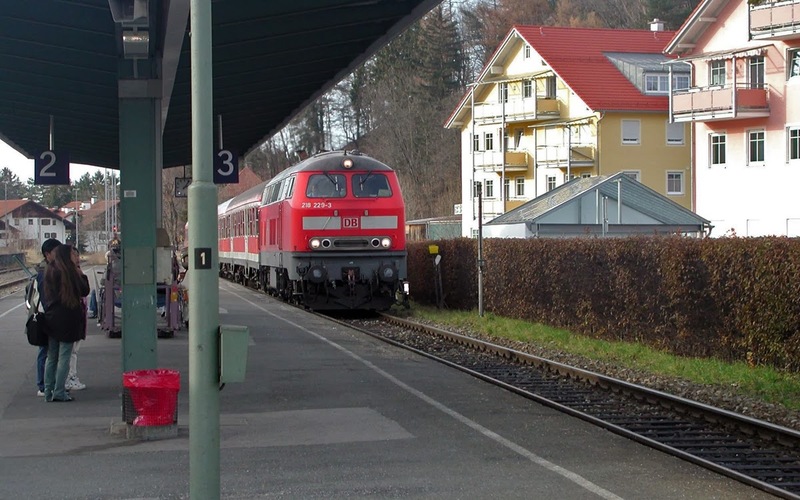 Take the train (from Munich HBF) to the railway station Füssen. 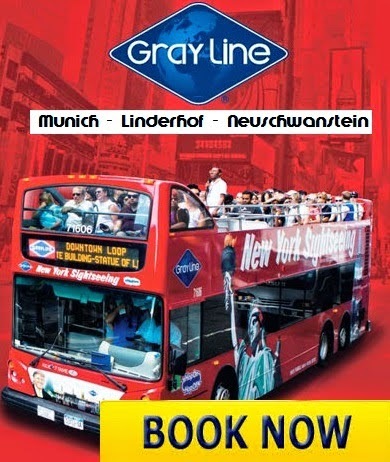 Rail one day with the Bavaria-Ticket through Bavaria with up to 5 accompanying persons on all local trains! 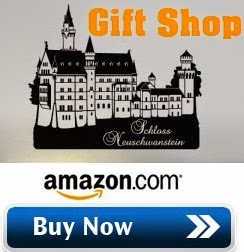 Enjoy the vineyards of Bavaria in the north or the Alps in the south. Bavaria has a lot to offer! Come and convince yourself! 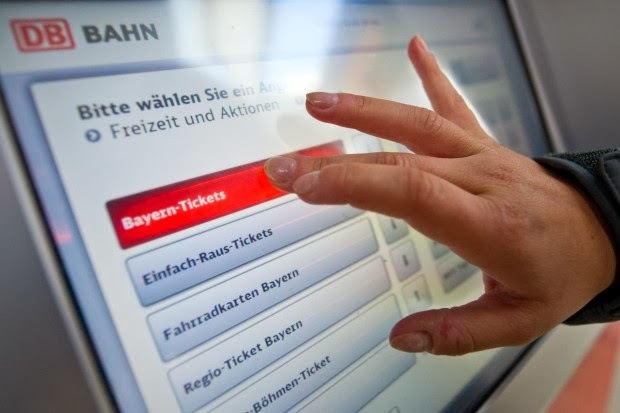 You can book the Bavaria-Ticket in the “Information & booking” section by selecting the “Local transport” option or by clicking the booking button right here. 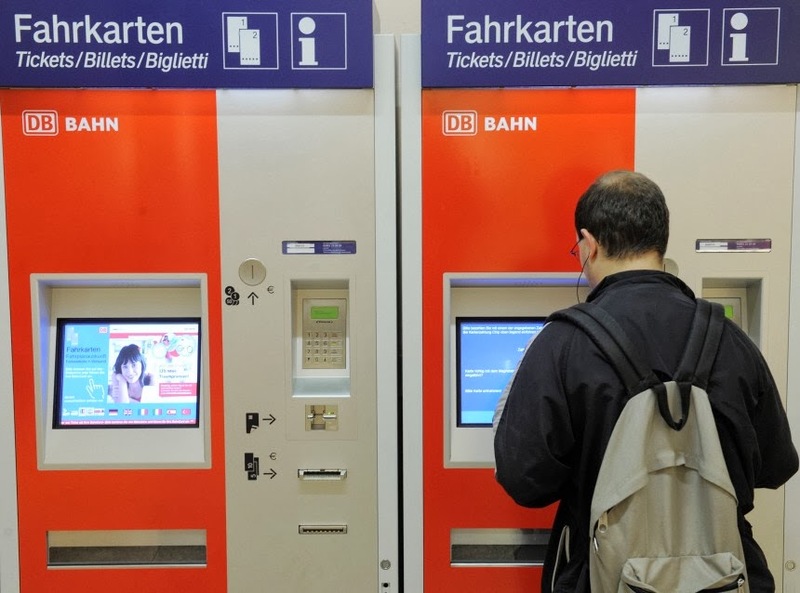 Enter the desired travel date and select your ticket. 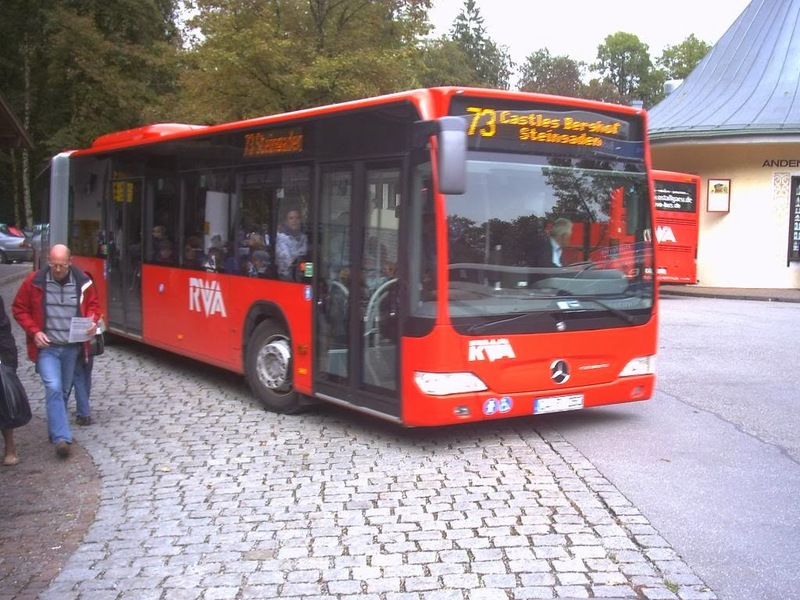 The fare is determined by the number of passengers. 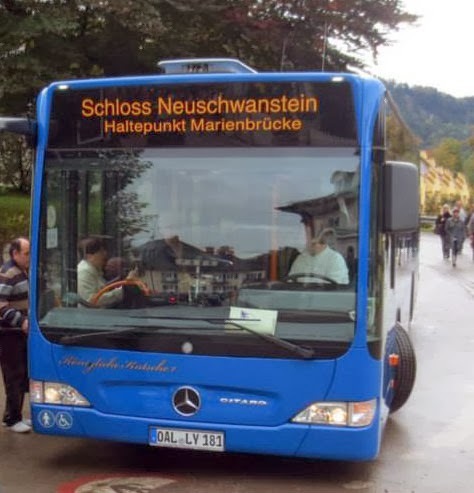 or bus number 78 (direction Schwangau). its about 10min drive " 5km "
Exit at Hohenschwangau, Schwangau (Schlösser). Attention! Terminal Mary´s bridge above castle Neuschwanstein. 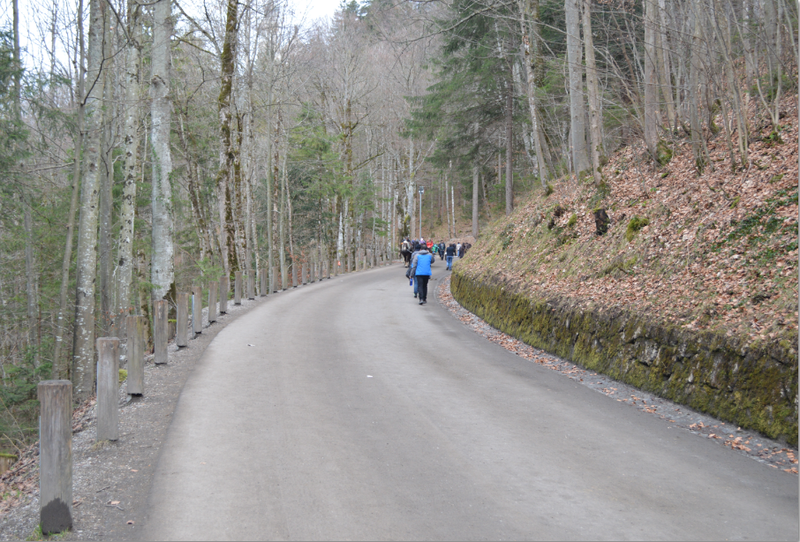 Please consider enough time to make photos from the bridge before you walk approximately 15 min downhill to castle Neuschwanstein. 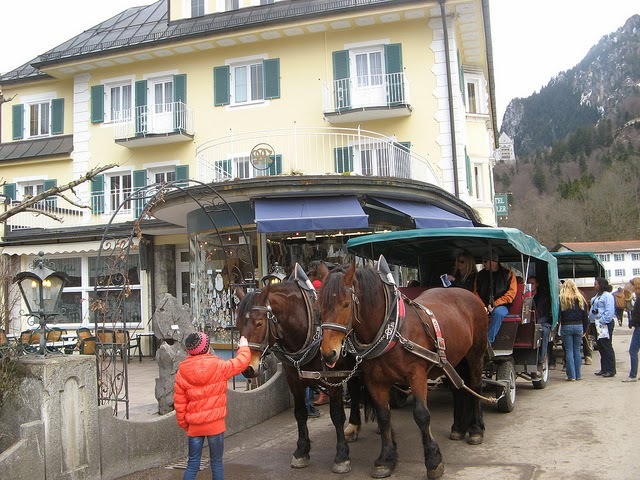 Terminal horse-carriage-stop below castle Neuschwanstein . From there approxiamtely 15 min walk uphill to castle Neuschwanstein. The carriages run the whole year around. Please note that you are responsible for your own schedule. The transportation to the castle by horse carriage can not be reserved. 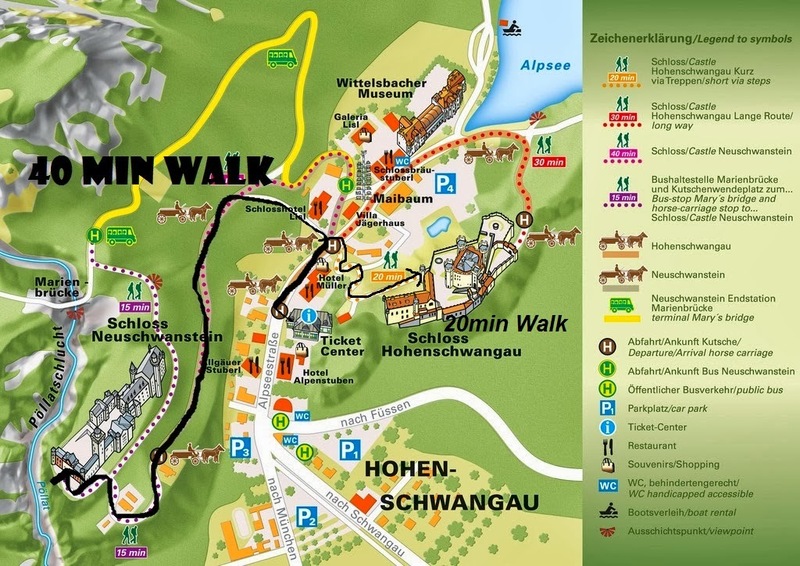 You can also reach the Neuschwanstein castle by foot, just follow the signs. 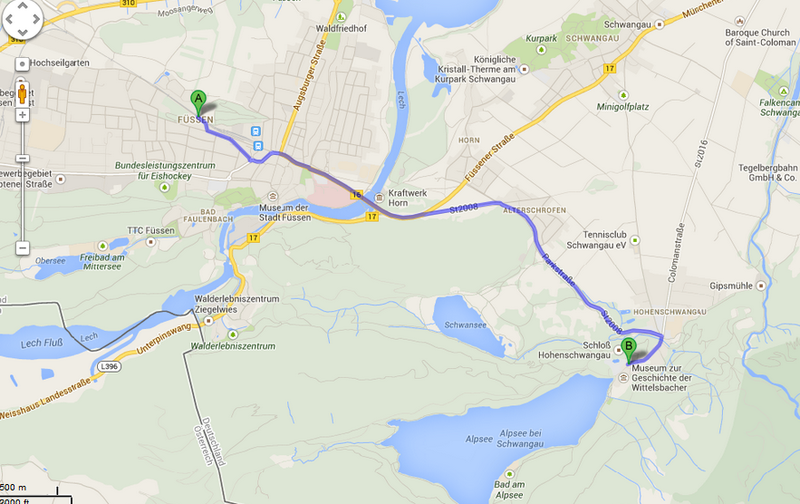 Approximate walking time from the Ticket-Center to the Neuschwanstein castle 40 minutes. Depart Munich in the morning at 8:30 a.m. from bus stop opposite the main train station (in front of the department store KARSTADT). This trip shows you two extraordinary castles, both testifying to the vision of Bavaria’s fairytale King. Hidden in the seclusion of the mountains King Ludwig II built two of his dream castles: Neuschwanstein and Linderhof. Short shopping stop in Oberammergau. Approximately 4 hours time to visit Neuschwanstein and for lunch (not included in the price). 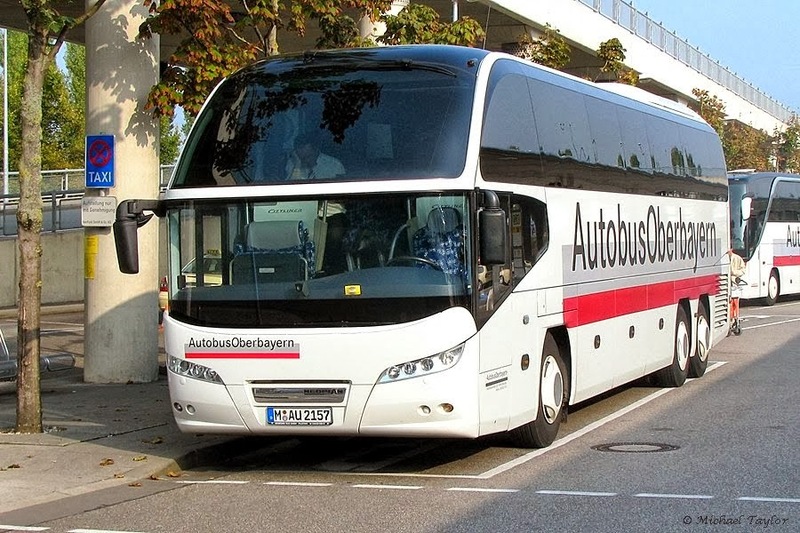 At about 4:15 p.m. your coach leaves again for Munich, where the tour ends at approximately 7:00 p.m.! 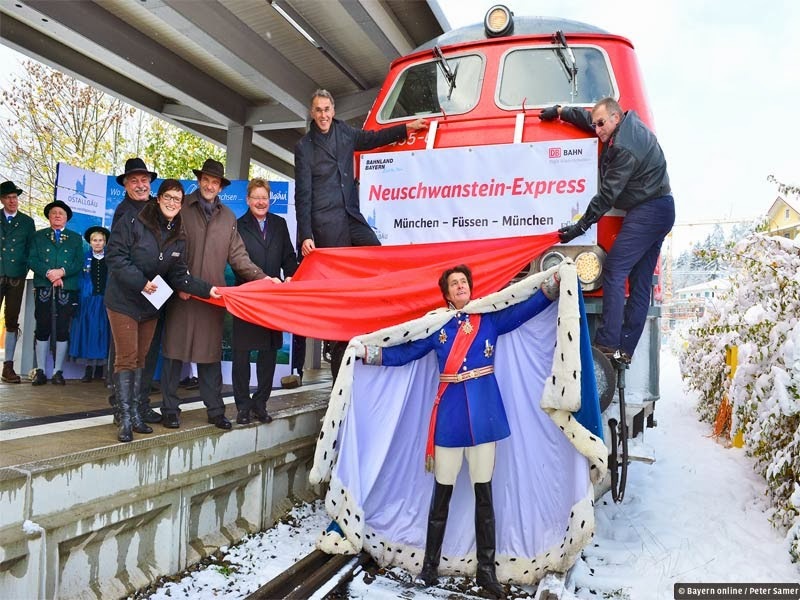 daily from 1 April until 31 October 2013 from Munich 8:30 a.m.
You can go to neuschwanstein by train but its take about 6 hours and you have to change the train between 3 or 5 times , my advice is to book the train ticket early to save your money because the last-minute ticket is expensive . 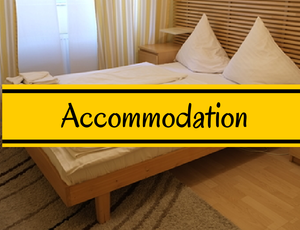 also is better to stay overnight in Munich , Füssen or Hohenschwangau .